Whether you’re planning a fancy date night to the best seafood restaurant in town or planning a trip to the super market to stock up on fresh fish for the week — there are some things you need to know about the seafood industry. With Americans eating 50% more seafood than they did 50 years ago, it’s no surprise that the seafood industry has become increasingly difficult to regulate while balancing supply and demand. Unfortunately, as is the case in many booming industries, some people are looking to make a quick buck off unsuspecting consumers. For reference, red salmon sells for as much as $24/lb where as tilapia is closer to $8/lb. Halibut, another commonly swapped fish, is often sold for $25/lb, but is frequently substituted with $14/lb flounder and the customer is none the wiser. This means if you eat fish once a week, you might end up overspending by $500 or more per year! Your wallet isn’t the only victim here. With this much exploitation in the market, poaching and illegal fishing practices are flourishing. As consumers we lose our ability to make decisions about what goes in our bodies and what stays out. How can consumers evaluate the risks of mercury or other toxins in our fish when we don’t even know what species we’re ordering? So how can you avoid the old bait and switch? 1. Stick to the safer options. According to Oceana, in restaurants, mahimahi, flounder and tilapia were least likely to be mislabeled. 2. Ask plenty of questions. 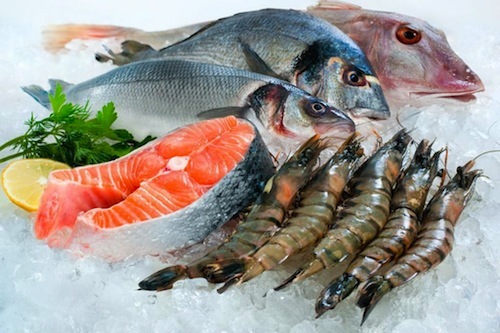 Some grocery stores and restaurants including Whole Foods provide information about the source of the seafood via companies like Trace Register and Trace and Trust. Check out www.traceandtrust.com to find local restaurants who participate. 3. Buy from sources you trust. All Passanante’s Home Food Service products come with a product guarantee and you can always rest easy knowing exactly what you’re eating. We hope you’ll give Passanante’s an opportunity to put your mind at ease and stock your home with a beautiful assortment of fresh seafood including Lobster, Mahi Mahi, and even Swordfish! For more information please fill out our contact form. This entry was posted in Food Safety and tagged Food Delivery Service, fresh seafood delivery, Oceana, Passanante's Home Food Service, Seafood Fraud by Passanante's Home Food Service. Bookmark the permalink.